Jack Kinslow was recently sworn in as a member of Americorp*Vista, the nearly 40 year old national service program dedicated to helping fight poverty and assisting rural areas in the United States. Kinslow has been assigned to the Henderson County Economic Development Corporation to help develop a Rural Water District for the residents and businesses located in the rural townships of Henderson County. This will be in conjunction with Gisele Hamm, Manager of the Illinois Institute for Rural Affairs at Western Illinois University. Jack's office is located in the University of Illinois Extension Office at 410 E. Main Street, in Stronghurst, and can be reached at 309-924-2406 or at hcedc1@frontier.com for further information. 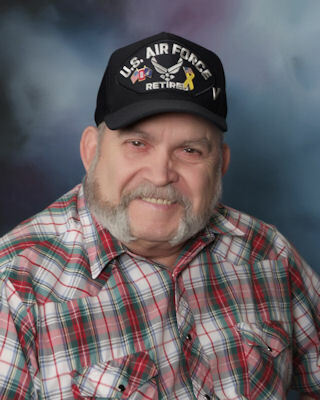 Kinslow, who was raised most of his life in Henderson County, graduating from Biggsville High School, and then served his country as a member of the United States Air Force from 1955 to 1975, retiring in July of 1975. Since that time, Kinslow has worked as a Correctional Officer, Deputy Sheriff, Police Officer, Chief of Police, and various security officer positions. He also worked for Stockland FS in Stronghurst and at the Henderson County Highway Department. Kinslow retired from the highway department in June of 1999. He was also involved with the 2000 US Census and more recently helped in the address certification for the 2010 census. Kinslow is a member of the Henderson County American Legion, Stronghurst United Methodist Church and serves as a Director on the Burlington Area Men's Bowling Association. According to Tom Doran, President of the Henderson County Economic Development Corp. (HCEDC), Kinslow's knowledge of our county is a huge asset for the HCEDC as we work to establish the Rural Water District here in Henderson County. The Americorp*Vista program allows us to utilize the talents and skills of folks such as Jack to help get the Rural Water District up and running. Jack will be contacting the various elected township officials concerning the setting up of the Rural Water District. He will be attending monthly township meetings and will be letting the townships know how the current status stands. Jack will spend a year as an Americorp*Vista member serving HCEDC. In exchange of his year of full-time service, he will receive a modest living allowance along with traveling and travel expenses. When he completes his service, he'll receive a $1,200 stipend. For 40 years, Americorp*Vista has been helping bring communities assistance when needed and approved. Today, nearly 7,000 Americorp*Vista members serve in hundreds of nonprofit organizations and public agencies throughout the country-working to fight illiteracy, improve health services, create businesses, improve the living conditions in rural areas or increase housing opportunities.